The Flamenco Collective is proud to bring you Perth’s Inaugural Flamenco Festival Gala! The Gala performance is the culmination of the Festival, featuring performances by the widely acclaimed flamenco dancer Inmaculada Ortega, musicians Jose Manuel Giraldo, Manolo Muñoz, Steve Richter and dancers from the Western Australian Spanish dance community. The Tapas selection will be provided by La Tapa Loca, and ONLY served at the tables, so get in quick for the table and food package! Doors open 5.30 pm, with a bar onsite. 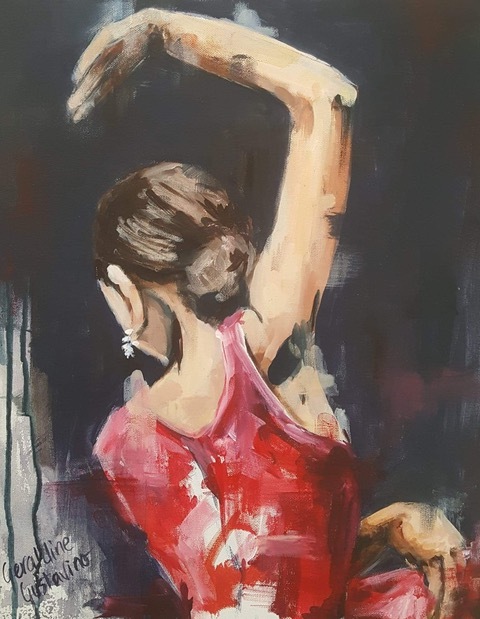 The Flamenco Collective was formed in 2017 by a group of Perth flamenco aficionados to promote and share Spanish dance and culture in Western Australia. 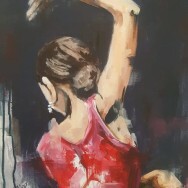 The Collective aims to run an annual Flamenco Festival which includes international, national, and local Flamenco and Spanish Dance artists, while involving and exposing the wider Perth community to all the fabulous work our Spanish dancers, artists, musicians, and foodies do so far from Spain. There is also a free Festival event with activities for the whole family including, free flamenco demonstrations, paella making demonstrations, free flamenco dance classes, art and fashion exhibitions. Watch renowned artist Geraldine Gustavino live sketch and paint the dancers of the festival. You can even bid to purchase her artwork selected to be the festival’s chosen image. The Festival runs between 12 noon and 5.00 pm on the 28th, with the bar open in the afternoon before the performance.